HOCHFILZEN, AUSTRIA (Reuters) - Germany's Laura Dahlmeier put in an almost perfect shooting performance under enormous pressure to power her way to victory in the women's 15km individual race to win her third gold medal at the 2017 Biathlon World Championships in Austria. 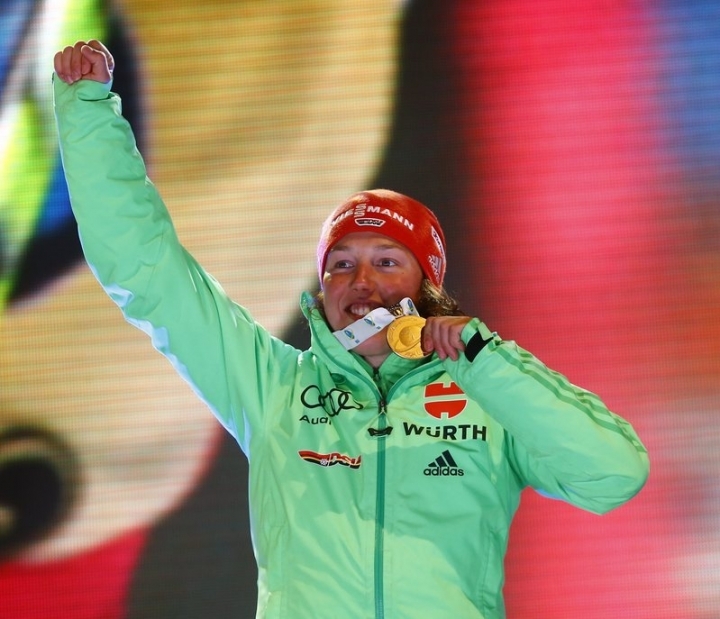 Among the later starters in the race, the 23-year-old German hammered her way around the course, missing just one of her 20 shots before sweeping up the final hill to beat Gabriella Koukalova of the Czech Republic by 24.7 seconds. On top of a silver medal won in the sprint category, Dahlmeier has also won gold in both the women's pursuit and the mixed relay. The bronze medal was won by Italy's Alexia Runggaldier, who came in one minute 45.6 seconds after the winner despite hitting all her targets.